Without any steam generator, you can easily start ironing wherever you want if only an electric power supply is available. It is suitable for small factories, boutiques and also garment factory. You can use the irons for professional use at home. 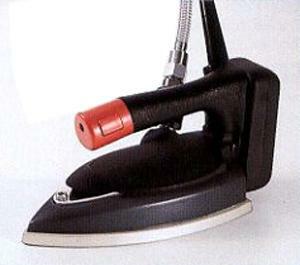 It is possible to iron with steam only by setting up the water tank or electric mobile water pomp. A combination both Electronic Thermostat(N-89S/ST/W) and Heater Element gives precise temperature control and energy efficiency. A Teflon injected Iron sole makes smooth and easy ironing with long life.